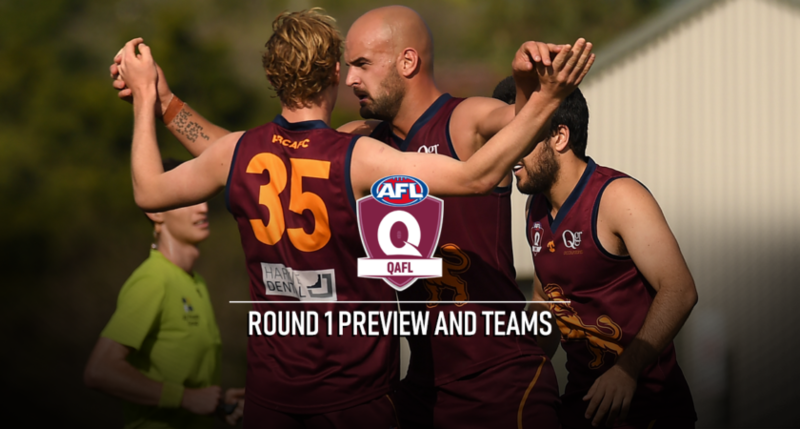 A grand Final rematch and a big southern Brisbane derby highlight the opening round of a new QAFL season on Saturday. Premiers Palm Beach Currumbin and runners-up Broadbeach square off in their Gold Coast derby at Salk Oval as the match of the round. In Brisbane, at Dittmer Park, Mat Gravatt host Western Magpies in a renewal of their rivalry. This derby is the only game in Brisbane with three matches being played on the Gold Coast. There have been plenty of comings and goings at the nine clubs and things are set for another thrilling season, one that hopefully matches or betters the tense finish to 2018 when six teams fought it out for the five finals berths. Last time they met: Palm Beach Currumbin 14.16 (108) d Broadbeach 9.12 (66), Grand Final 2018 at Leyshon Park. Former Collingwood pair Jack Anthony and Jason Cloke could provide the highlight of the QAFL season opener when they line up in opposite sides in the grand final rematch on Saturday. Anthony, who starred for Palm Beach Currumbin when they beat Broadbeach in the grand final last year – he was named Joe Grant Medallist as best on ground – may find Cloke as his direct opponent when the sides meet at Salk Oval on Saturday. The likelihood of the match-up was made possible when Cloke, now 36, signed with Broadbeach on Tuesday after moving to the Gold Coast with his family. Although they both played for Collingwood Anthony said he had never been in the same AFL team as Cloke, although they may have played alongside each other in the VFL. Does Anthony expect Cloke to move to him at some stage on Saturday? “Maybe, and if that’s the case so be it.,” Anthony said. If it eventuates it will be a mouth-watering entrée to the grand final rematch when Broadbeach try to end an eight-match losing streak to their Coast rivals. Broadbeach coach Beau Zorko said Cloke approached the club and asked if he coulod go down to Subaro Ovalo for a kick. “He has not missed a beat and understandably has been a wealth of knowledge to our players,” Zorko said of the Cats’ bonus late signing. And could we see him go to Anthony if the big forward starts running riot? “You never say never, do you,” Zorko said. The GF rematch provides an oddity in that the clubs that battled it out for the flag decider last year both have new coaches in Zorko and PBS’s Jess Sinclair. The clubs also have new captains in Stephen Thynne (PBC) and Matt Fowler (Broadbeach). The premiers PBC have had a remarkably stable off-season with one major loss being Jimmy Holland. But the Lions have picked up some fine recruits, which include the return of 2017 star Dylan Troutman and key forward Reyne Harris from Knox in Victoria. Not named but ready to come back are the likes of Josh Woolley, Brock Askey, Todd Grayson and Jarryd Douglas. Ethan Hunt, son of assistant coach Peter, Ethan Greenall and Southport-listed Lee Dale will all play in PBC colours for the first time. Broadbeach will be without Grogan Medallist Blake Erickson, Liam Nelson and Benji Neal. Erickson is just back from an overseas trip but will resume in the reserves against PBC while the other two are still overseas. Broadbeach have to break an eight-match losing streak against the Lions, a run that goes back to Round 15 of the 2016 season. It is a sequence that does not bother Zorko for his first match in charge of the Cats. “It’s all exciting – footy’s back, so happy days,” Zorko enthused. Last time they met: Western Magpies 16.12 (108) d Mt Gravatt 10.7 (67), Round 12, 2018, at Dittmer Park. A sore knee has caused new Mt Gravatt playing coach Adam Boon to sit out of an exciting QAFL season opener against Western Magpies at Dittmer Park on Saturday. Boon said his knee issues meant he did not want to go into the Brisbane derby underdone although he expects to be right to play in the second round. Another key loss for the Vultures is Broadbeach recruit Robert Blood, who is battling hamstring problems. On the other side of town news is that former Brisbane AFL player Ryan Harwood could be out for some time with an ankle injury, so in terms of leadership losses at both clubs things appear to have balanced up. No doubt the Magpies will come out firing to make up ground after missing the top five last season – after they lost in the final round to Surfers Paradise. They are traditionally a tough, physical side and Boon expects nothing else to open the season. “I’m satisfied with our build-up and everything has been good since our practice games,” former Redland warhorse Boon said. “We have implemented what we wanted to and got some run into the legs. Away from himself and Blood, Boon said the only certain seniors selections to return are Corey McGuren and Daniel Daye. Magpies coach Brydan Morgan downplayed the loss of Harwood, who was expected to form a deadly midfield combination with another ex-Brisbane Lion Claye Beams this season. Obviously, such a loss as Harwood temporarily upsets the Magpies’ early-season program but Morgan did not seem too perturbed by the loss. “Ryan should be back by the fifth round, but we’ve got plenty of midfield depth,” he said. The Magpies are coming off a pre-season that worked to the satisfaction of Morgan. Morgan said he is quite happy to be playing a south-west Brisbane rival to open a new season, even if it is Vultures territory at Dittmer Park. Last time they met: Morningside 21-14 (140) d Labrador 9.7 (61), Round 18, 2018, at Cooke-Murphy Oval. Morningside have suffered a cruel blow with the decision by midfield dynamo Alastair Nash to pull the pin on his stellar career with the Panthers. Coach Clint Watts confirmed the loss of Nash as the rebuilding Morningside prepared for a tricky trip down the M1 for a clash against fellow rebuilding Labrador at Cooke-Murphy Oval on Saturday. “That makes about 800 games experience gone,” Watts quipped following on from the retirements of three other absolute Morningside legends in Kent Abey, Nathan Kinch and Matt Logan after their 2018 preliminary final exit. “They’re extraordinary numbers but that’s football, that’s natural attrition. The clash against Labrador in Tiger territory appears an intriguing one. Asa Watts pointed out both clubs have new head coaches with the Southport Hall of Famer in charge of the Panthers and school teacher and former player Liam Burke at the helm of Labrador. “Both clubs have a new coach, a new direction and potentially new game styles,” Watts said. After slipping to seventh on the ladder in 2018 – after a run of second, first, first and second over the previous four years – the Tigers have spread their recruiting wings far and wide. 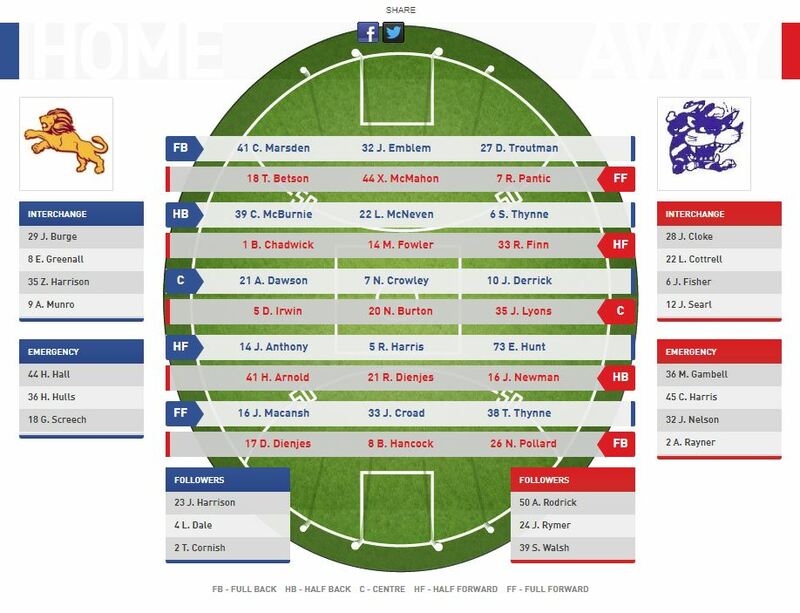 To take on the Panthers the Tigers will parade newcomers Alex McKay, a highly decorated midfielder from the Adelaide Amateurs, John Boxer, Hugh Barry, Dan Middleton and Jesse Maple. Also back in the den are Jaicob Kenny, Jayden Young, Tom Davidson and Dane Watmough, which has led to a definite lift in morale. “The new guys have settled in really well and happy to play their roles and learning our game plan,” Burke said. Burke noted a fierce rivalry that has developed between the clubs after they clashed in two grand finals in 2014 and 2015. “The competition is so even, so a good star is critical when you get an opportunity to take four points, especially at home,” he said. “So we’re setting ourselves for a big one. Among a host of changes, Morningside have named ex-NEAFL players Luke Rogerson, Brad Howard and Henry Joyce. 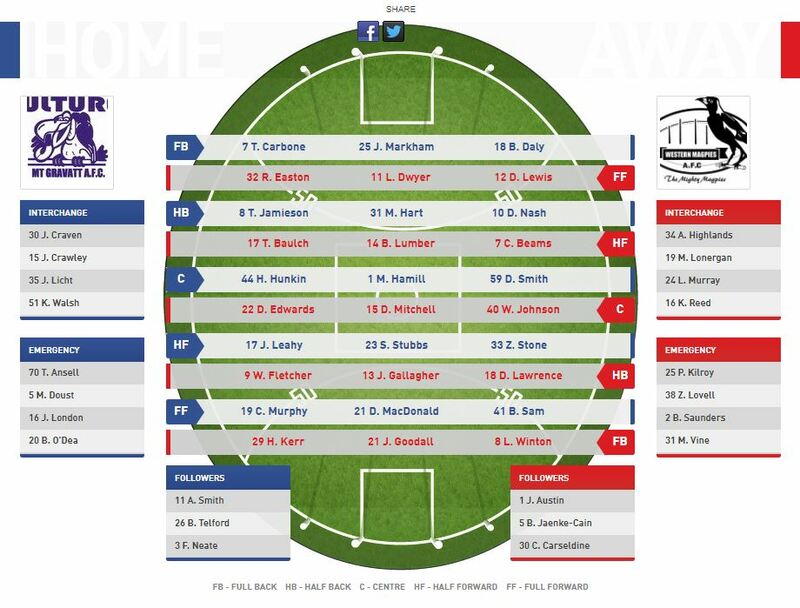 Set for their seniors debut in Panther colours are Nathan Colenso from QFA Division 3 premiers Park Ridge, Aaron Robertson from Redland and junior product Jack Cowan. Last time they met: Surfers Paradise 10.14 (74) d Wilston Grange 11.6 (72), Round 16, 2018, at Hickey Park. It is very much a case of the unknown as far as Surfers Paradise coach Brad Moore is concerned going in to the opening round of a new season. Moore, the only surviving coach from last season’s top five, admits he knows very little about the Demons’ first-round opposition Wilston Grange, who they host at Sir Bruce Small Park on Saturday. Beaten by Morningside in the 2018 first semi-final, Surfers Paradise have retained the bulk of last season’s roster with the only new face confirmed to start against the Gorillas being West Coburg midfield recruit Jack Yelland. 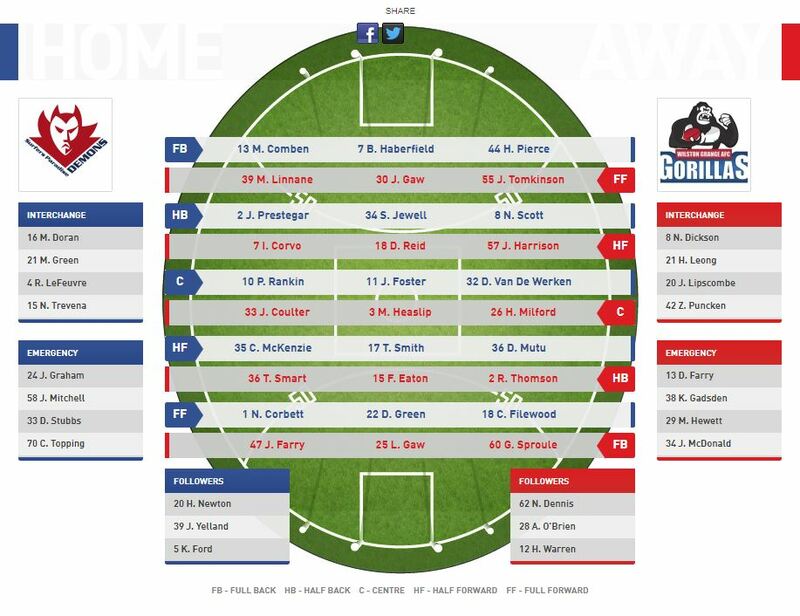 Centre half-forward Matt Green, Mitch Comben and defender Nathan Trevena are all returning to the fray for the red and blues in what is a pretty stable line-up to tackle the Gorillas. Wilston Grange, on the other hand, came up with nine new faces to their senior ranks. Sticking to his edict of not selecting players with restricted field time, coach Barry O’Brien said the Gorillas will get some good players back as the season unfolds, but that some regulars were not quite ready just yet. “We’ve taken a very cautious approach,” O’Brien said. 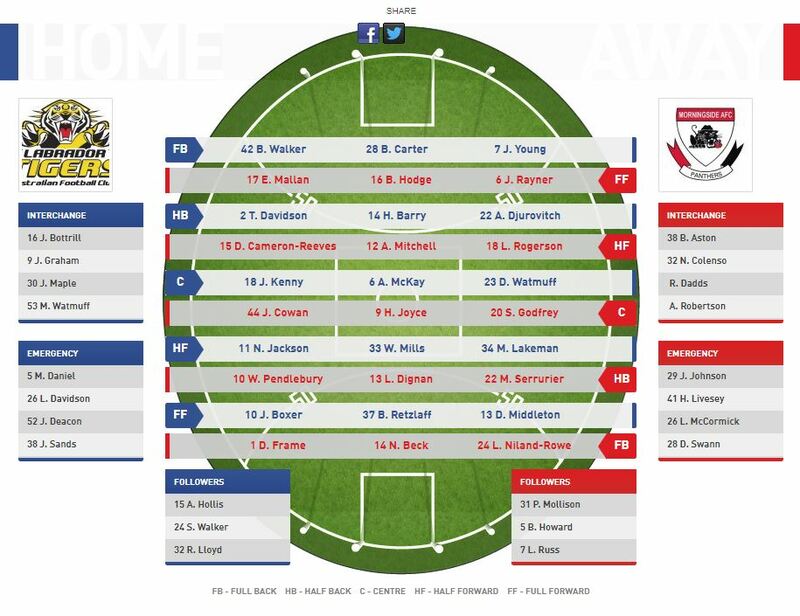 This means vice-captain Dan Farry and best and fairest third placegetter Sam Gribble will be playing in the early game. The Gorillas have promoted youngsters Gracen Sproule and Zac Puncken from their 2018 Colts team. Puncken won the club’s best and fairest in colts and Sproule will debut after a stint at the Brisbane Lions academy. Interesting first-round selections are brothers Jake and Lochlan Gaw, sons of former Morningside top-liner Alastair Gaw. The Gorillas have four Aspley-listed players named for the trip to Surfers for a clash that O’Brien hopes will be a quick start to the new year. “At the end of the day our big goal is we have to start living up to our potential because we have under-achieved for too long,” O’Brien said. Like the Grange, Surfers have access to four NEAFL players from Southport – Cody Filewood, Matt Doran, Sam Jewell and Dylan Mutu – no strangers to the Demons last year. “It’s hard to predict what will happen but obviously we have had a good pre-season and I’m happy with the way we’re tracking,” Moore said of the prospects of the Demons. “We want a positive start, especially at home in the first round but I don’t know much about Wilston Grange.